I have a strange chocolate-related pet peeve. When someone tells me “You like white chocolate? 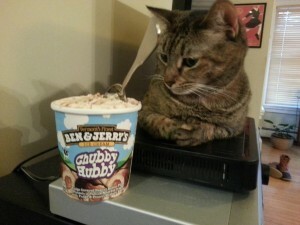 But that’s not even real chocolate!”…it makes me want to hurl a block of white chocolate right at their smug face. White chocolate gets absolutely no respect, while dark chocolate can apparently cure cancer and bring the dead back to life. And the darker the better. If you like 70% dark, your foodie friend will undoubtedly poo-poo that in favor of 85% or darker. Well it’s finally time to stand up, white chocolate lovers! All three of you. Because white chocolate is healthy, and here’s why. First off, dark chocolate is healthy, and is a PHD-recommended “supplemental food”. But just like how Arnold Schwarzenegger overshadows Danny DeVito in the movie “Twins”, so goes the relationship between dark and white chocolate. They share the same mother (the cacao tree) and the more popular sibling has desirable traits absent in the less popular sibling (flavonoids and psychoactive compounds). But just like Danny DeVito, white chocolate actually has a heart of gold (or rather, a heart of stable fatty acids). White chocolate is simply cocoa butter plus some added milk, while dark chocolate is cocoa butter with (dark) cocoa particles added instead of milk. Each can have varying levels of sugar. 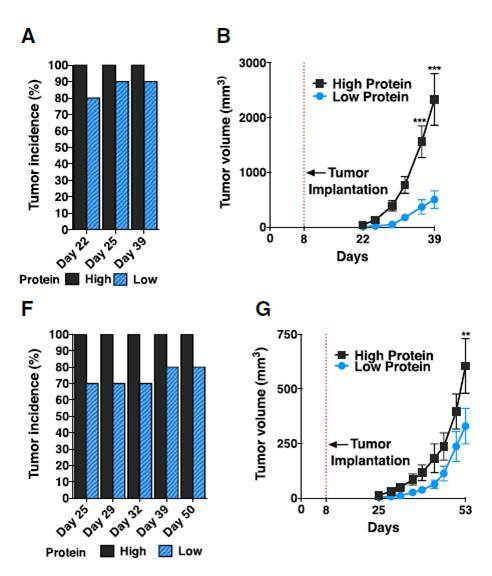 White chocolate undergoes remarkably little oxidation during storage or cooking, unlike vegetable oils that autooxidize and may become carcinogenic. A quick look at the fatty acid profile of cocoa butter explains its stability. It’s made up of 60% saturated fat split between stearic and palmitic acids, about 30% monounsaturated, and only 3% polyunsaturated fat. The high stearic acid content means that cocoa butter has a smaller effect on cholesterol than do other fats with similar saturated percentages. Cats can’t read nutrition labels…or can they? Plus cocoa butter has been shown to improve resistance to oxidation in rats when compared to vegetable oil. Cocoa butter may even help protect against fatty-liver related endotoxemia, via upregulation of an enzyme called ASS1 (argininosuccinate synthase 1, hee hee). Dark chocolate sometimes contains mycotoxins and aflatoxins (which can be carcinogenic, depending on dose), whereas white chocolate doesn’t. 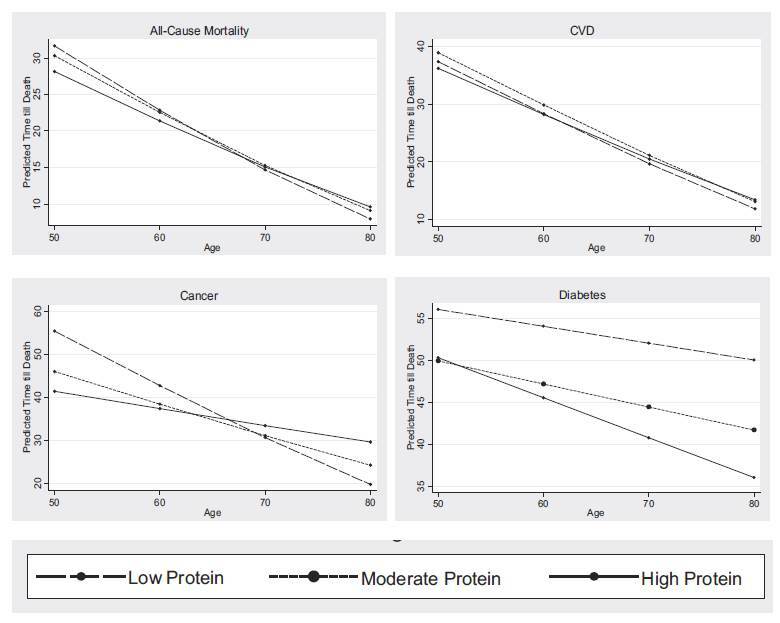 While cocoa butter doesn’t have nearly as many health benefits as dark chocolate, it’s been shown to benefit platelet function and potentially atherogenesis more than dark chocolate (in men, but not in women…why must you be so confusing science?). Finally, white chocolate isn’t toxic to dogs and cats due to low theobromine levels, whereas a high-percentage dark chocolate bar could kill a small dog. White chocolate also has negligible amounts of caffeine and other bioactive compounds, due these being water soluble and hence removed during processing. For those sensitive to dark chocolate, who exhibit symptoms such as as intestinal distress or headaches after consumption, white chocolate may be a good alternative. Why is white chocolate a black sheep? 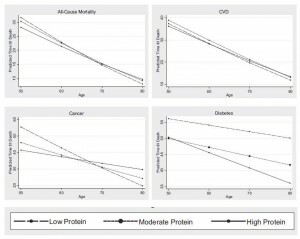 So why is cocoa butter rarely eaten (outside of chocolate bars), when other low-PUFA fats such as coconut oil and ghee are prized? Three reasons stick out: price, availability, and stigma. High-quality dark chocolate costs around a buck an ounce or less. It’s hard to even find high-quality white chocolate outside of some internet stores, and the price of edible pure cocoa butter is typically 50% or more above that of dark chocolate. Plus pure cocoa butter doesn’t really come in the form of standard-sized chocolate bars. If you want bars, you have to jump down from 100% cocoa butter to around 30% or much lower, and these bars typically have almost 50% sugar content. Note that in 2002, the FDA set a minimum cocoa butter percentage of 20% in order for a product to be labeled “white chocolate”. But this definition also included minimum levels of milk solids and milk fat, so those staying away from milk may prefer pure cocoa butter. In my Willy Wonka white chocolate utopia, there would be 70%, 85%, and 92% white chocolate bars available at every grocery store, but as it stands you have to buy sugary white chocolate or make your own lower sugar version using cocoa butter. Indeed, for most of its history, chocolate was exclusively used with savory/spicy ingredients. Cooking cocoa butter with meats or veggies may give them a heartier flavor, or you could try something more daring like salmon with white chocolate sauce. Snacks made with cocoa butter may be more practical than snacks high in coconut oil, as cocoa butter doesn’t melt around room temperature like coconut oil does. Compared to dark chocolate, white chocolate needs much less sugar to mask bitterness (especially for us supertasters). It also complements delicate flavors whereas bitter dark chocolate overwhelms them, so my hunch is that white chocolate (or just cocoa butter) could provide a versatile base for things other than just sauces and desserts. If you cook for someone, and the dish has cocoa butter or white chocolate in it, be prepared to defend your daring choice. Concerning the claim that white chocolate isn’t actually chocolate, I find that a bit ludicrous. When cocoa beans are pressed, they ooze out cocoa butter. It’s very similar to the relationship between olives and olive oil, or coconut flesh and coconut oil. When’s the last time you heard “Olive oil? But that isn’t even real olive!” I’ll chalk the misunderstanding up to the prevalence of fake white chocolates (below 20% cocoa butter or often none at all) combined with the rarity of dishes made with cocoa butter. You can’t like white chocolate if you haven’t had it, or if all you’ve had is an overly-sugared white chocolate bar. Theobroma, the genus containing the cacao tree, translates to “food of the gods”. Chocolate was used as currency by ancient Mayans, and kept in safes with gold and precious stones. While dark chocolate is currently exalted as a king among medicinal foods, white chocolate has become the court jester. This is a shame, as white chocolate holds promise as a healthy and underutilized cooking ingredient. White chocolate and cocoa butter keep extremely well at room temperature, so don’t be afraid to buy some and do your best Iron Chef impression. If the dish works out, feel free to comment here with the recipe. And if you find a high-quality white chocolate bar low in sugar, let me know. Kamal/Chocomal/Caramal excels in taste-testing. Many of us try to eat an ancestrally-influenced diet, which brings up a question: should we also drink similar types of water as our ancestors? There are a few practical reasons why mineral water makes for an interesting source of nutrients. Unlike food, water is calorie-free. And unlike supplements, you don’t have to remember to take water each day. Plus some people really enjoy the taste of mineral water. So let’s take a peek into the world of mineral waters and health. The reason we’re focusing on mineral water is that it’s a type of water that contains measurable nutrients, and is thus somewhat less susceptible to pseudoscientific claims (yes, I’m looking at you “alkaline water”). What does mineral water have that you want? Minerals, duh! Which ones though? 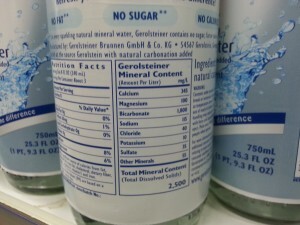 The Cadillac of mineral waters, Gerolsteiner, tested as having 112 mg of magnesium per liter of water and 368 mg of calcium, along with 134 mg of sodium. The Ford Focus of mineral waters, Poland Spring, has just one milligram of magnesium and calcium per liter, and four times that much sodium! 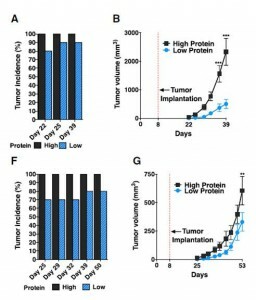 (meaning four milligrams…just showing the power of ratios to deceive) So what do these numbers mean in terms of health benefits or detriments? Let’s start with magnesium. Magnesium is a PHD-recommended daily supplement, unless you get enough from food. Rather than choking down two horse pills, some people prefer powder, epsom salt baths, or spray. Magnesium has oodles of therapeutic functions outside of its commonly known roles in heart and bone health, extending to bowel disease, migraines, anti-aging effects, and reducing chronic inflammation. Unfortunately magnesium levels have taken a hit from routine municipal water softening as well as lower concentrations in crops. Most tap water contains negligible amounts of magnesium. So unless you live in Lubbock, Texas (where the tap water has 60 mg/L of magnesium, almost twice as much as any other major US city), bottled waters are the best option for liquid magnesium replenishment. 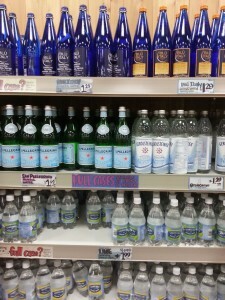 My local Trader Joe’s sells Gerolsteiner and San Pellegrino, and other grocery stores sell Perrier and Evian. 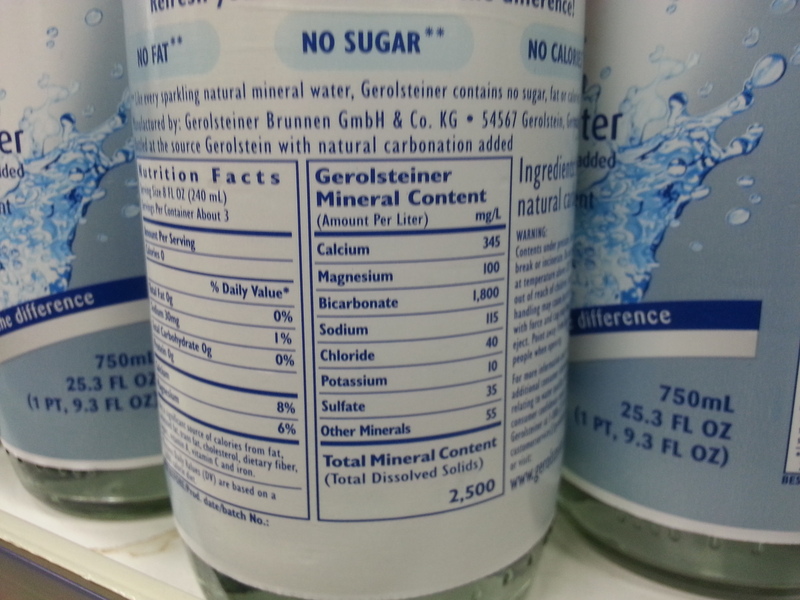 The latter two contain very little magnesium, while San Pellegrino has half as much as Gerolsteiner. High-sodium mineral waters sometimes get a bad rap, even though low salt intake is associated with higher mortality rates. Plus the sodium in mineral water is usually in the form of sodium bicarbonate, which has been shown to actually decrease blood pressure in hypertensive patients. If you’ve read the Perfect Health Diet book then you know the potential dangers of supplementing calcium. On the other hand, for those who lack leafy greens or dairy in their diets, mineral waters could be a good option. European mineral waters, that is. As might be expected of the land of higher life expectancy, finer wines, longer maternity leaves, and smellier cheeses, European mineral waters tend to have far more calcium (and magnesium) than their American counterparts. Popular European waters such as the aforementioned Gerolsteiner, San Pellegrino, Perrier, and Apollinaris all have between around 100-370 mg of calcium per liter. The higher end of this range would bring a calcium-deficient diet close to optimal levels when drinking 1-2 liters a day. …but they’re not! One of the most important trace minerals is lithium. 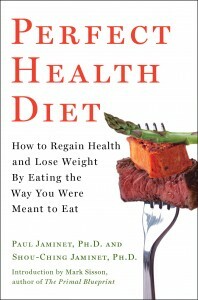 While high-dose supplementation of lithium may impair immune and thyroid function (these doses are prescribed for psychiatric disorders), an optimal lower dose (but higher than what Americans typically take in through food) is linked to longer lifespans and lower rates of mental illness. Areas where tap water has the lowest lithium levels have higher suicide and homicide rates. Rather than splitting lithium supplement pills to get small enough doses, one could get low doses of lithium through mineral water. “Lithia waters”, mineral waters high in lithium, were a craze in the late 1800s and early 1900s due to numerous testimonials on their miraculous health benefits. But most mineral waters actually have quite low lithium levels, so you have to look hard to find a water that provides enough to equal very low-dose supplements. 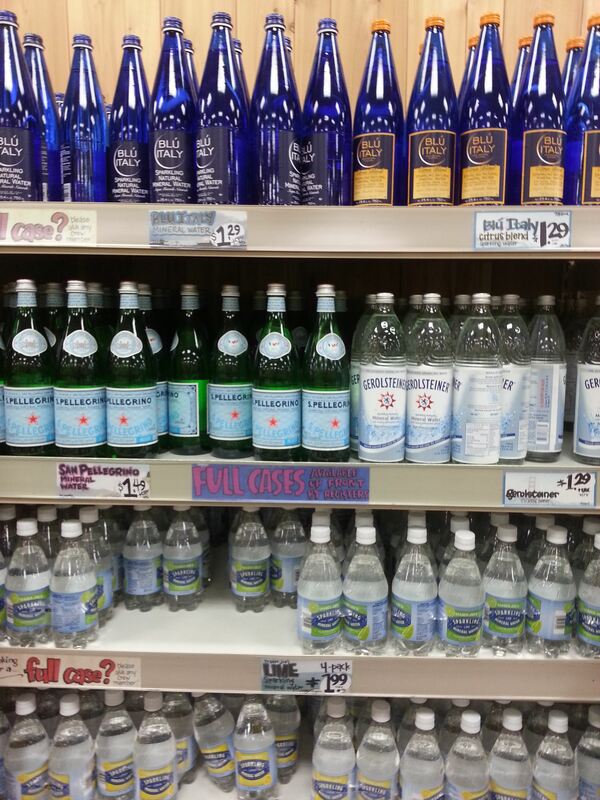 Some people love sparkling water. But in an informal survey (me surveying myself), sparkling water has been found to be difficult to drink in large quantities because it doesn’t go down as smoothly while gulping and makes you burp. 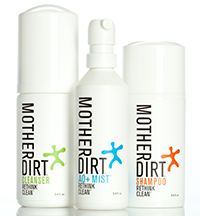 That mitigates the ease of using water as a supplement. There’s an obvious way to get around this — just let the water go flat. Note that a couple California-sourced still mineral waters such as Adobe Springs (also sold as “Noah’s Spring Water”) have magnesium levels comparable to fancy European sparkling waters, and also have that distinctive mineral water taste. But while some people love the taste of mineral water, others find hard water off-putting. To counter this, you can add lemon or let some cut berries infuse throughout it. Classy! What does mineral water have that you don’t want? One notable effect of drinking mineral water is a reduction in mean weight of your wallet. To reduce the cost and help with portability, you could try Concentrace, a concentrated little bottle of dried minerals from the Great Salt Lake that has the salt removed. I’m torn between the ease of using Concentrace and the possible dangers of using it. First the good part: you just put a few drops of Concentrace in your water, and it becomes highly mineralized with not just magnesium but a variety of trace minerals. Concentrace may improve joint pain, as shown in this trial of knee osteoarthritis (although this study doesn’t appear to be indexed by Pubmed…hmmm…). However, be careful with the Concentrace. Tap water is not allowed to have more than 0.01 parts per million of arsenic. The Concentrace instructions say to use a total of 40-80 drops per day, so let’s say you use 20 drops in a glass of water. That comes out to right around 0.01 parts per million of arsenic. Uh-oh? So is mineral water an underrated supplement? There’s probably a reason why mineral water springs were highly prized by so many ancient cultures, with people traveling many miles to seek health benefits. In modern times, the World Health Organization has recognized magnesium levels in drinking water to be an important public health issue, due to the possible heart disease benefits of drinking hard water. We didn’t even get into potential benefits from taking in higher amounts of other trace minerals. Nor did we discuss benefits from higher intake of bicarbonate, which is present in many minerals. Or how about skin hydration benefits, or the ability of hard water to avoid mineral leeching that happens when boiling foods in soft water? The magnesium and calcium in mineral water is also typically highly bioavailable (even more so when consumed with a meal). All in all, mineral water may be a useful addition for those that can afford it, as it can provide a reliable daily boost to levels of important nutrients.